GBGAQRS (5226) forming ascending triangle pattern. 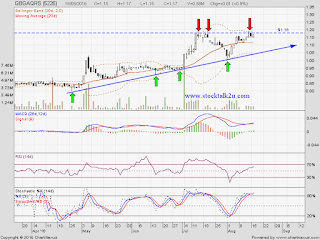 Will it breakout RM1.18 resistance level & go higher? Immediate resistance @ RM1.18 level. 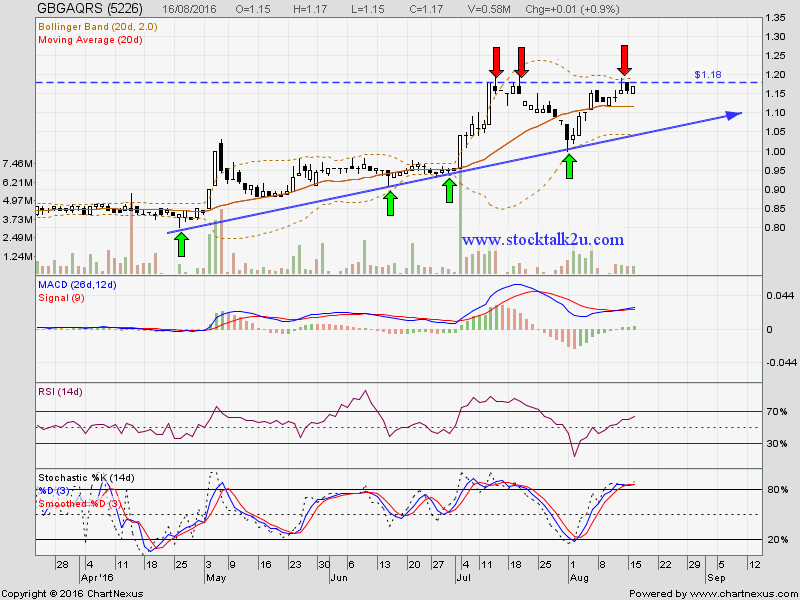 Subsequent resistance @ RM1.28 level. Immediate support @ RM1.12 level. Company do make clarification pertaining that news.